It is second top versus second bottom in Moscow on Thursday night and it is a game between a team with an unbeaten home record against a team who is still to win on the road this season. This would suggest that Khimki should clock up another triumph but Thursday night could be a pivotal moment in the season for both teams. One of the best things about Khimki’s performances this season is that they have had a very strong defence. In fact, they have the third best defence record in the league, offering up just 70.7 points per game. 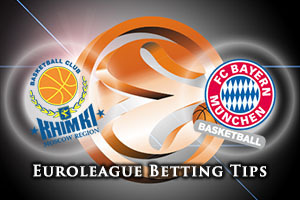 The Eurocup winners have already faced up to the Euroleague champions twice this season, and won both games, so it is not as though Moscow will fear anyone, especially at home. Alexey Shved has been in grand form this season for Khimki and he has scored at least one three point effort in his last 6 Euroleague games in a row, a run he will be keen to continue this week. For Bayern Munich, every game left this season is a massive game, so they will be desperate to get something from this game if they can. Nihad Djedovic has been in strong form this campaign and is currently the sixth best scorer in the tournament with an average of 16.5 points per game. He will be vital to the German sides’ hopes as will Alex Renfroe, who may need to shut down Tyrese Rice to give the away team a strong chance of winning. 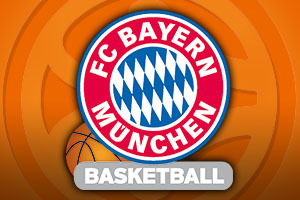 Bayern know that one win could propel them into the play-off spot but they face a big challenge on Thursday night. The hosts are clear favourites and if there is any value to be found in this game, it comes with Bayern Munich being listed at +12.5, at odds of 1.90. If you are looking to place an Over/Under bet on this game, you should be looking towards going OVER 158.5 at odds of 1.90. Bet Now!